In this paper a methodology for the use of temporal logic as an executable imperative language is introduced. The approach, which provides a concrete framework, calledMetateM, for executing temporal formulae, is motivated and illustrated through examples. 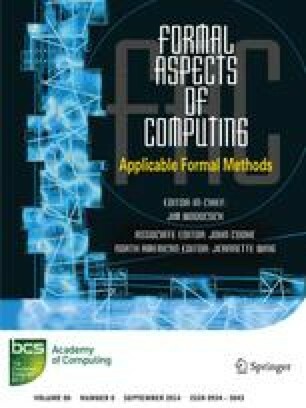 In addition, this introduction provides references to further, more detailed, work relating to theMetateM approach to executable logics. Supplementary material is available for this article at 10.1007/BF01211631 and is accessible for authorized users. Supplementary material, approximately 492 KB.